The island of Newfoundland is located just a little over nine miles off the east coast of North America. It is the World's sixteenth-largest island and Canada’s fourth-largest island, spanning nearly forty-two thousand square miles. 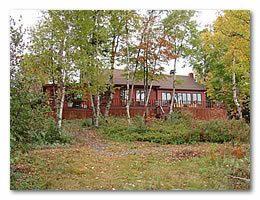 Newfoundland has a mixture of boreal and deciduous forests with thousands of lakes and streams that bond together to make this island a sportsman’s paradise and ideal moose habitat. 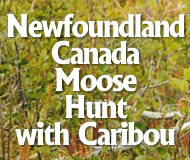 Introduced to the island in 1904, Newfoundland now boasts one of the most dense moose populations of any place in Canada with numbers estimated at nearly 120,000 animals and offers outstanding opportunity for the avid moose hunter. 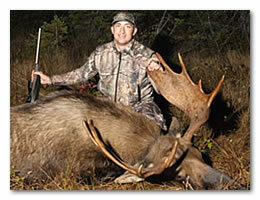 This Canadian moose hunt begins with a warm Newfoundland greeting by your outfitter at the Gander International Airport and a very scenic drive to your hunting lodge. Late-September and October is the ideal time to hunt moose on the island as the mature bulls are in the rut and constantly on the move making glassing and locating a good bull much easier. 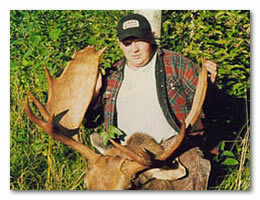 The Newfoundland moose are not as large as the other Canadian species but still produce outstanding antler spreads from 40 to 60 inches. 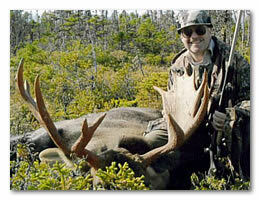 Moose hunter success across Newfoundland runs in excess of eighty percent with many big bulls qualifying for the record books each year. 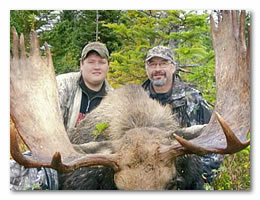 This is a fully-guided 5-day moose hunt in Canada from a modern lodge or outpost cabins with airport pickup in Gander, home-cooked meals and trophy care. 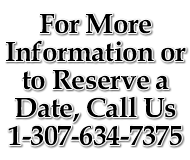 We have limited availability for the fall 2018 season. Please call for available dates. 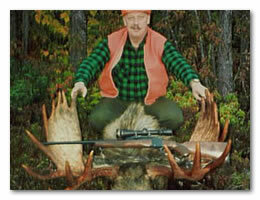 For more details or to reserve this moose hunt, contact us via e-mail or call us at 1-307-634-7375.